Our brace slip leads are a combination of both lead and collar and are the perfect all in one solution for handling two dogs at a time. The braid is kind to your hands, and as there is no chain collar to catch and pull out fur, it's also kind to your dog. Brace Slip leads for dogs could not be easier to use. 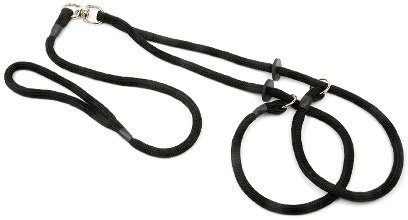 Simply place the loop of the slip lead over each dog's head and you are ready to go with instant control over the dogs. These braided brace slip leads are bar-tacked (a tight line of 42 stitches) for a high quality durable finish. We do not use any metal crimps, or simply melt the rope together. We provide a 1 year fair wear and tear guarantee. The braided brace slip leads come in an array of colours. 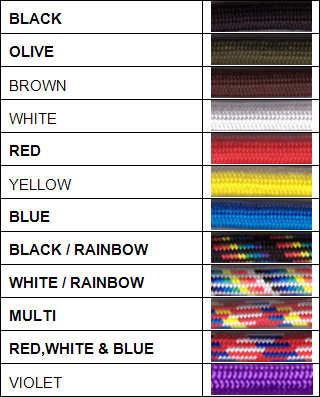 Select the colour of the braid brace slip lead from the drop down box below. Nice feel. Good quality. East to use. Absolutely delighted. Fantastic service, the quality of the lead is the best we've had and it's the first product I have brought from this site. Very well made and seems like it will last a long time.